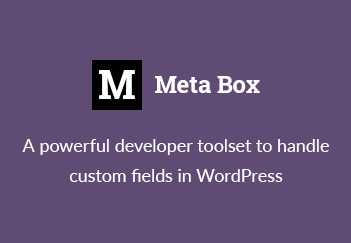 This is the screenshot of the Meta Box plugin. Clicking on Add More button will add another author to the book. Each author has some info like first name, last name and biography. Find the last instance, create a new clone of that and insert it to the bottom of the list. Inside the clone instance, find all inputs and change their index and reset their values to empty string. After looking at those problems, I found that the 2nd problem causes the slowness. And among those actions, the job of finding all inputs is one of the major issue. (I shorten the code to make it easier to understand the issue. For full code, please see here). Can you see the selector? :input[class*="rwmb"]. It selects all the inputs (input, select, textarea, button) with the CSS class contains string rwmb (an identify we use for Meta Box). Because :input is a jQuery extension and not part of the CSS specification, queries using :input cannot take advantage of the performance boost provided by the native DOM querySelectorAll() method. And that is the root of the problem! Solution: just change the selector! Based on the jQuery documentation, it’s recommended to use native CSS selector that function querySelectorAll() supports. In that case, jQuery will utilize the native function, without looking into the DOM tree and search by itself. These are CSS attribute selectors and are supported in CSS3. There are more attribute selectors that you can find here. Logically, it should work as expected. But does it? As you can see, the CSS attribute selector performs more than 800% better than :input! The filter seems to be the worst solution. The reason probably is the universal selector * which is not performant. Anyway, we can use it in our plugin. Just put here to test to be sure. The result is based on my OS (Windows 10) and browser (Firefox 54). You can run the test again and see the your result. I guess it’s not much different. Sometimes a simple line of code can make your app faster in a way that you can imagine. This simple trick of using CSS attribute selector is not new. But it is useful for us in our specific situation. Have you ever met a similar problem? How did you resolve it? Please share with me in the comments.